The catalytic 44 Elite ZC wood fireplace is perhaps the finest fireplace ever created. It features EPA approval and Posi-Pressure™ heating through a quiet, remotely located 388 CFM fan which circulates the heat throughout the home. The 44 Elite ZC also has an optional firescreen so you can use your fireplace with the doors open when you are not using the Elite to heat. 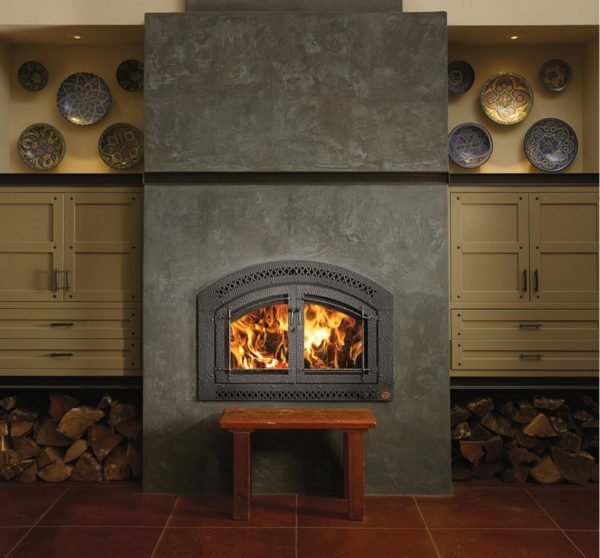 After you’ve taken one look you can see why this is the only fireplace line that can be called extraordinary.